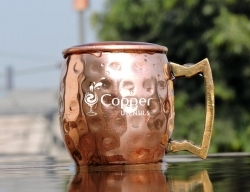 Made of stainless steel with copper plated exterior. 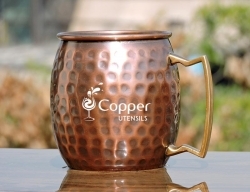 Suitable for serving cocktails and other cold beverages. 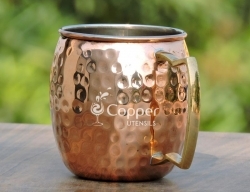 Wide bottom to avoid any spillage. 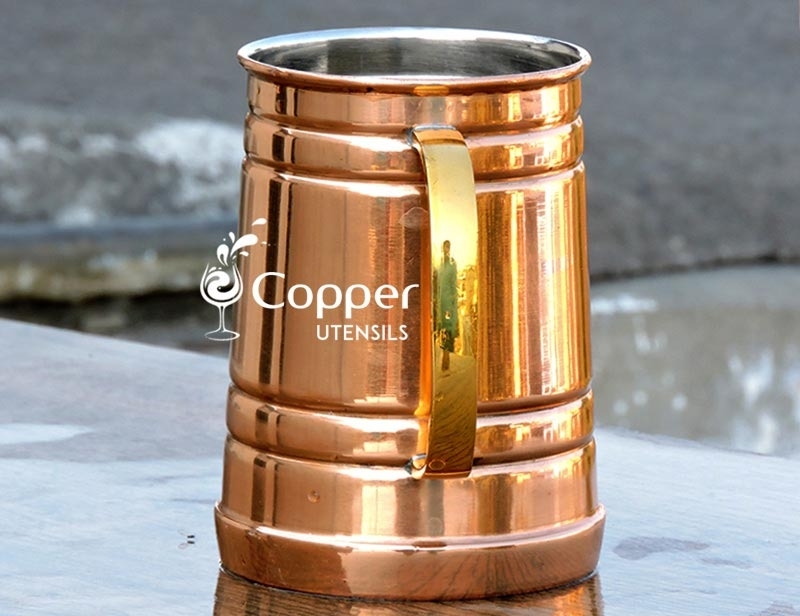 Sturdy brass handle for a comfortable grip. 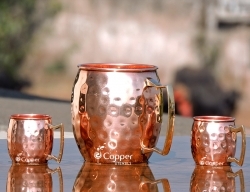 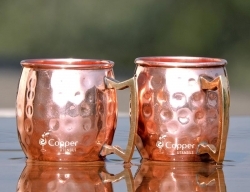 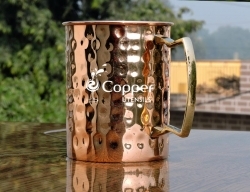 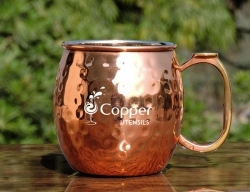 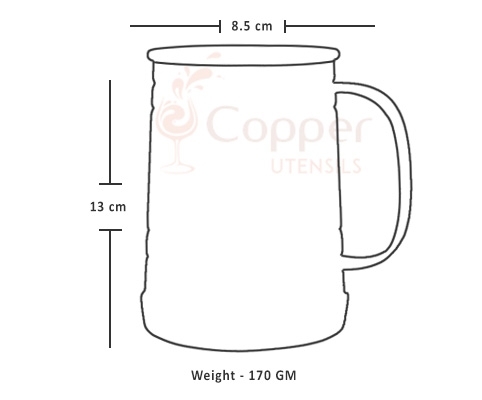 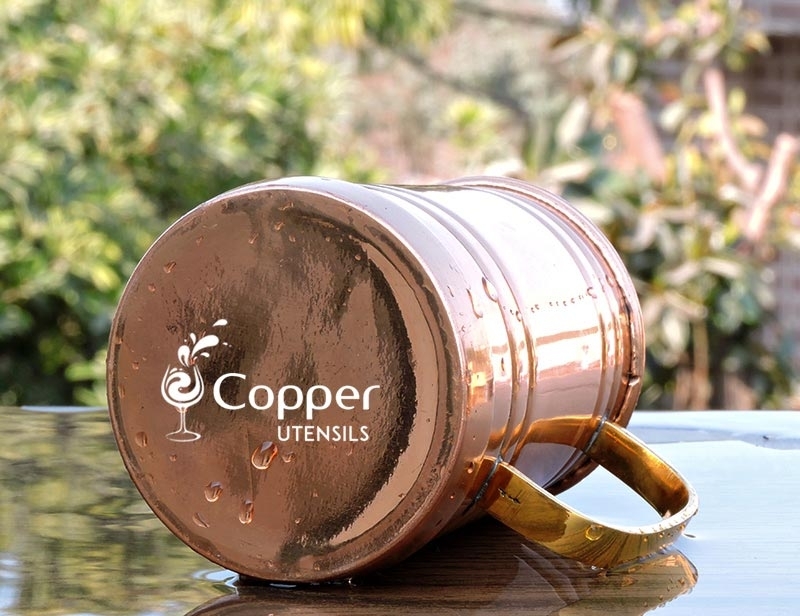 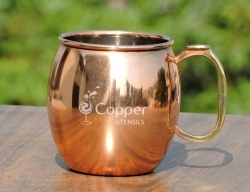 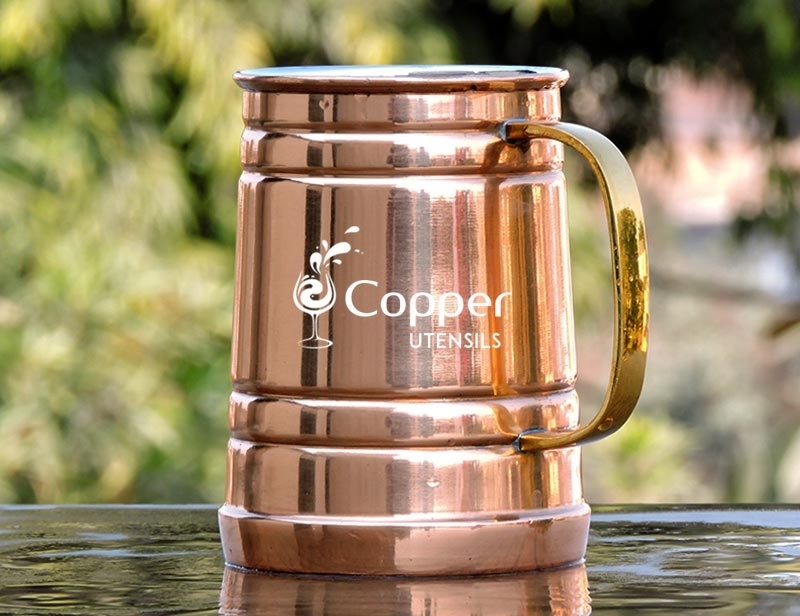 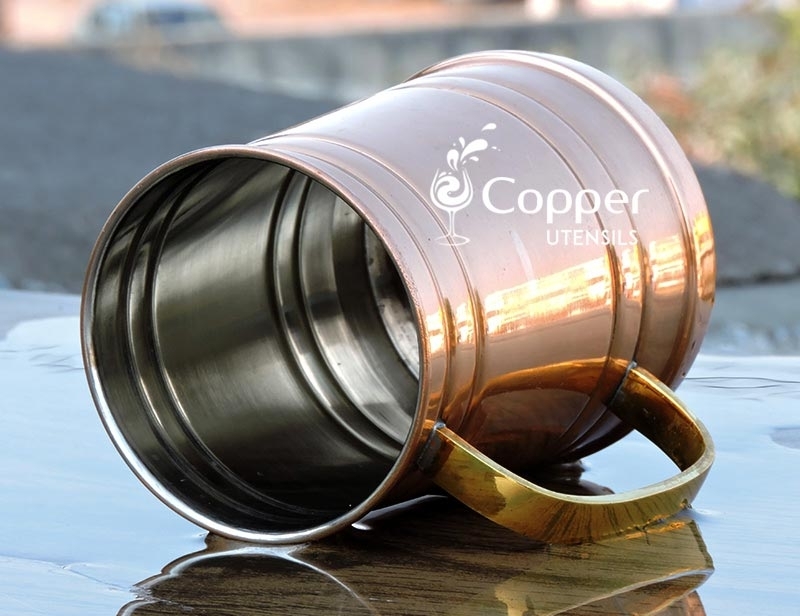 Our stainless steel copper plated tankard mug is crafted from stainless steel with copper plating on the outer walls. 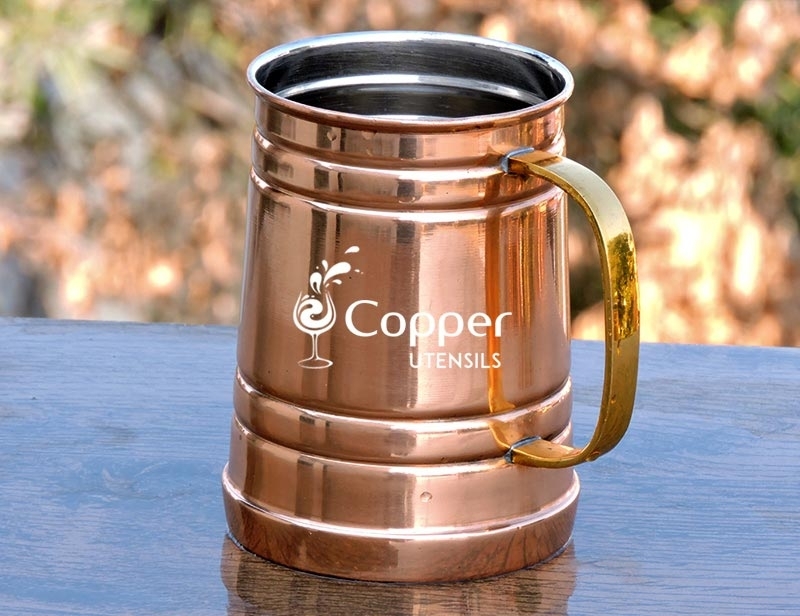 The stainless steel interior allows you to serve almost any kind of beverages in this mug. 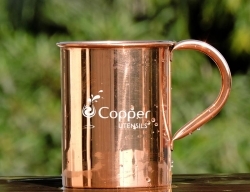 Unlike pure copper, there is no chance of your acidic drinks reacting with copper. 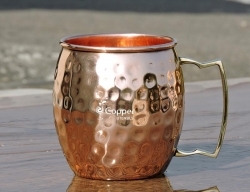 Thus this makes up for the perfect accessory for serving lemonades and mojitos. 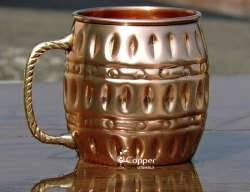 The copper plating adds a vintage vibe to the mug making it look chic and classy. 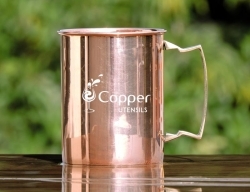 As compared to pure copper mugs this one is fairly easy to clean. 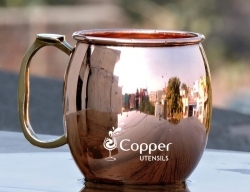 All you need to do is wash the mug with regular dish washing detergent and water. 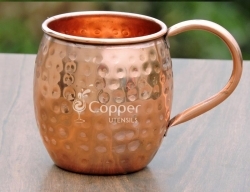 Make sure never to use an abrasive scrubber to rub the surface of the mug as this will destroy its look completely. 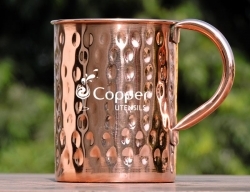 It is a good mug for the price, but i would prefer a pure copper mug for my drinks.